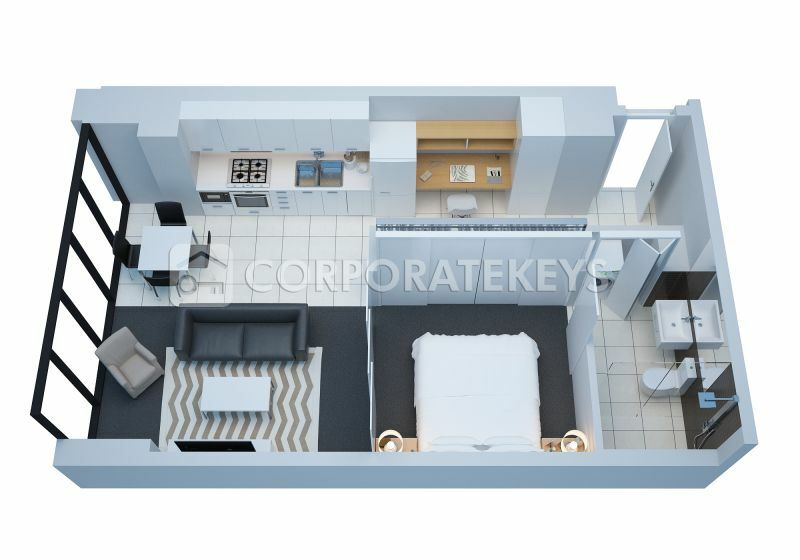 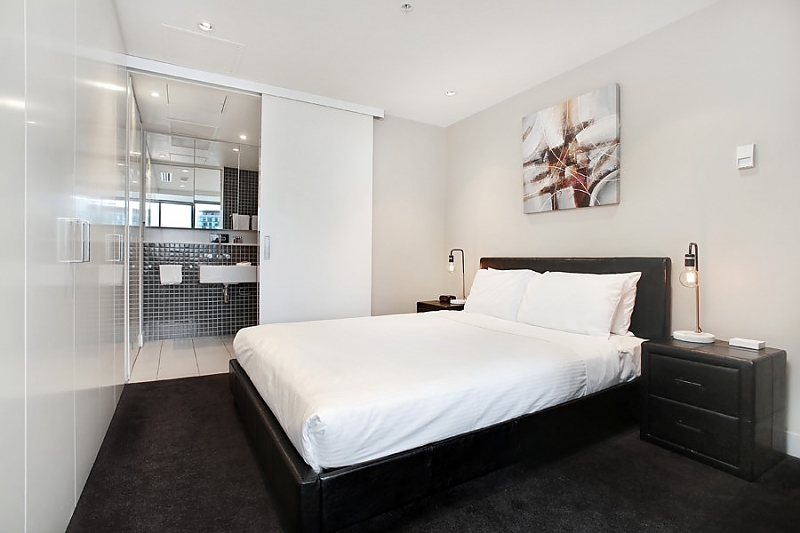 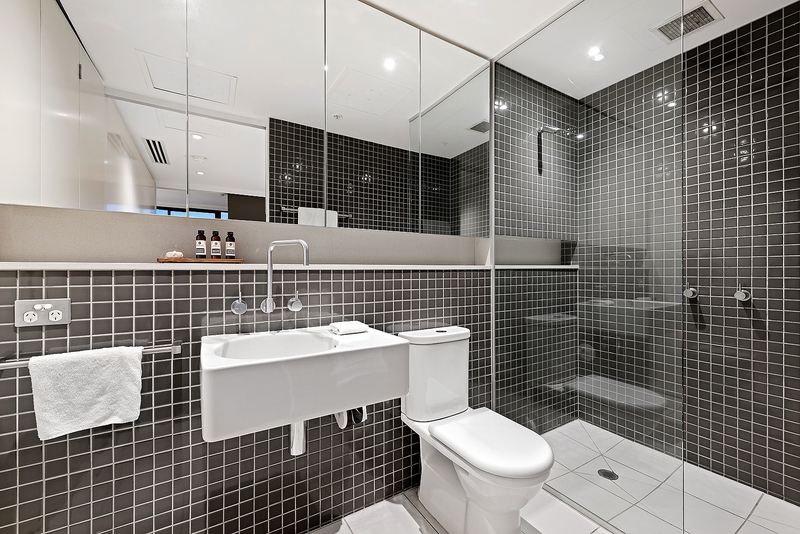 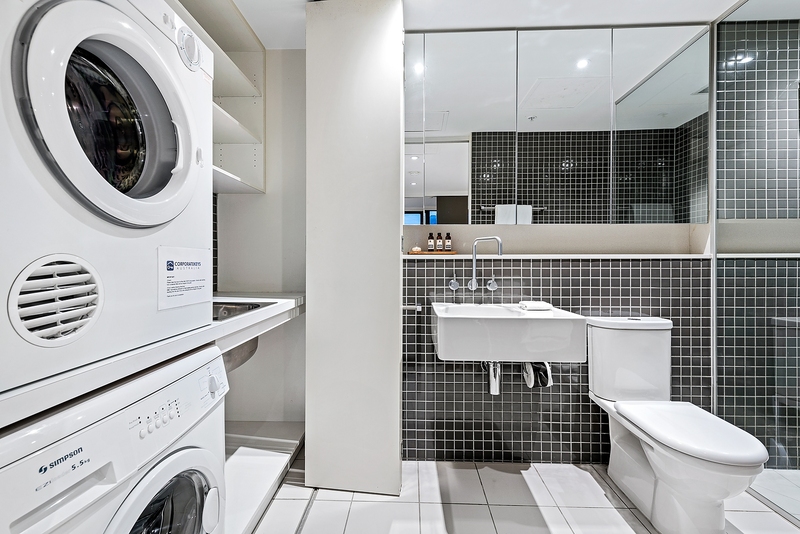 Actual Photos of a 1 bedroom 1 bathroom configuration at Freshwater Place." 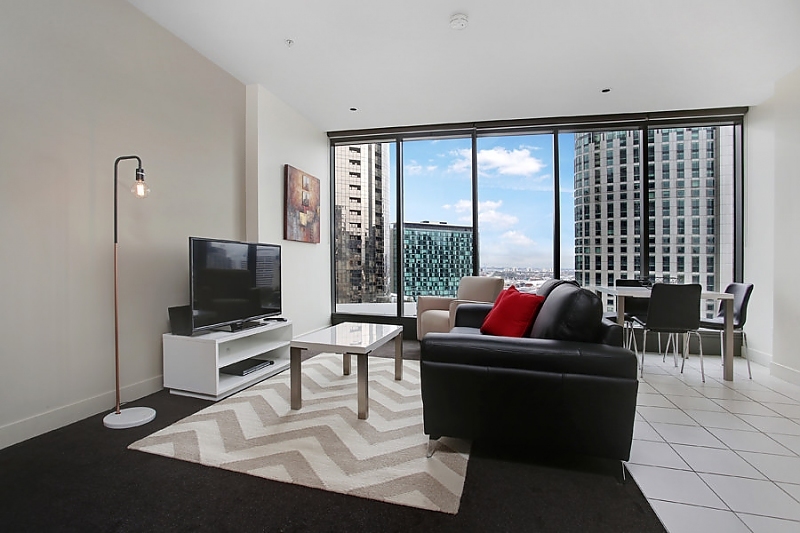 Apartment 1511 is situated up high on the 15th floor. 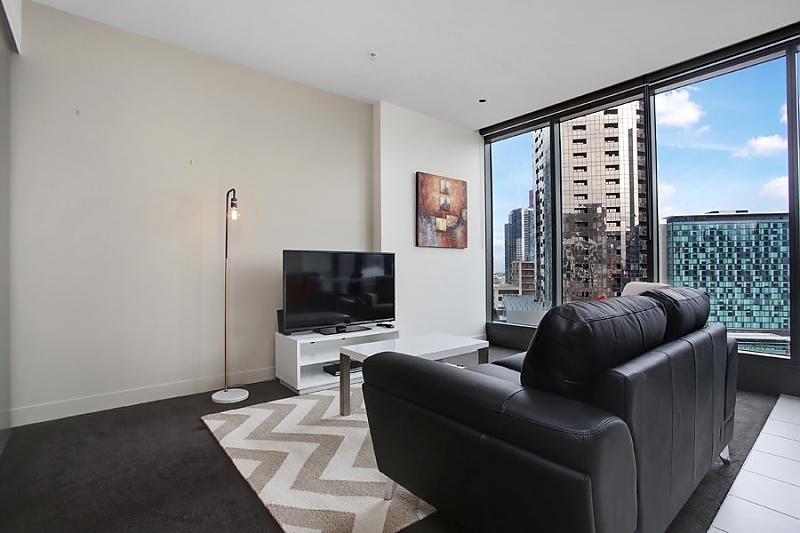 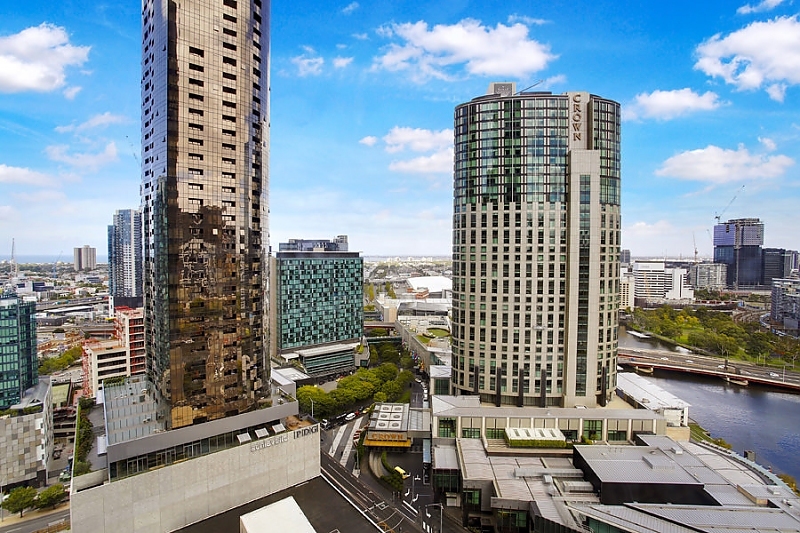 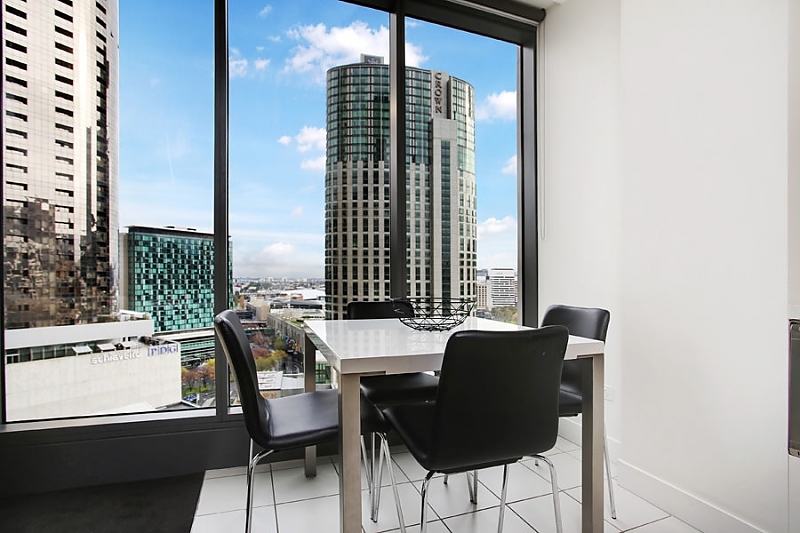 The apartment faces west towards the sunset and has fabulous views of the Yarra River, Southbank and Port Phillip Bay in the middle distance. 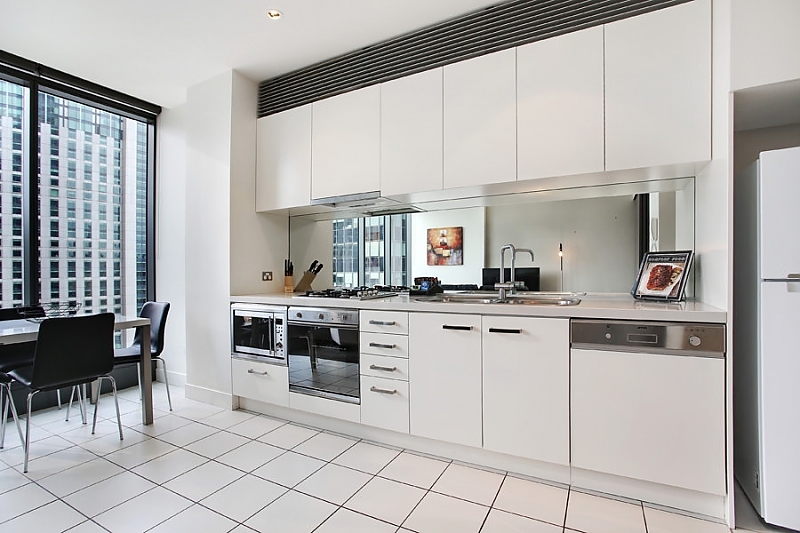 This apartment is superbly furnished and includes a modern galley kitchen with European appliances, one bedroom with en-suite and an open-plan living area. 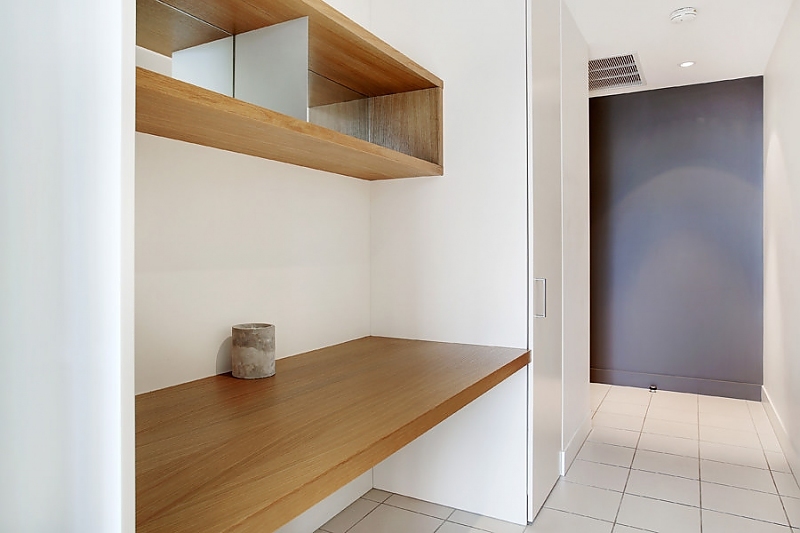 There is a built-in desk and shelving unit in the entrance hall which is ideal for hobbies, work or study. 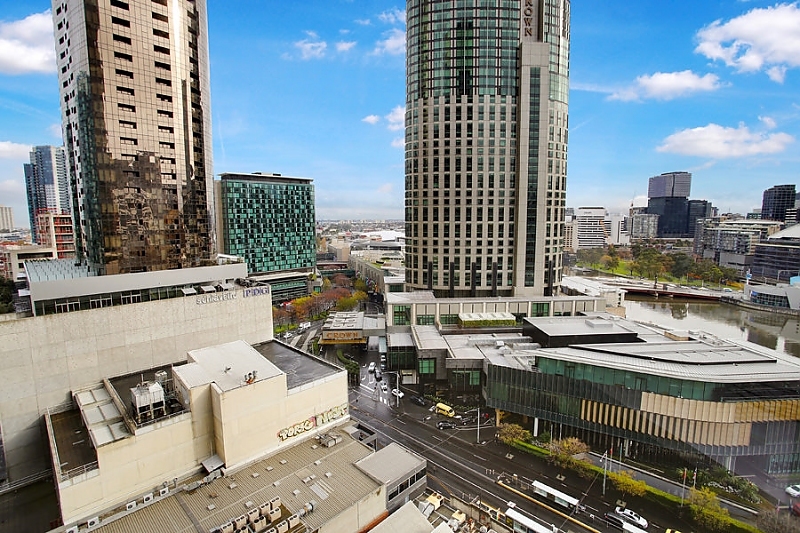 The building location and facilities are second to none - see the photos and videos for details.